Alisi Tutuila’s career background spans 16 years. She has always been involved in the Indigenous affairs sector, starting off as a trainee in the Department of Health. Working under the government, Alisi pursued a career in Human Services, Family and Community Services, and Employment. 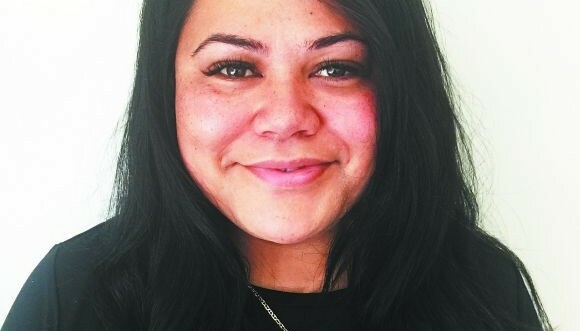 Her passion lies in community services and prompted the start of her employment agency, which secures projects and opportunities across NSW and the country to increase the participation of Aboriginal people in the workplace. Alisi was voted Chairperson of the Aboriginal Housing Company (AHC) and she continues her work within the community, providing affordable housing and community services for Aboriginal and Torres Strait Islander people in Redfern. What is your connection to the Redfern area? I moved to Redfern about 16 years ago with my parents – my mother and her partner at the time – who were pastors, and I lived there for seven years. How do you think the area has changed in the last 15 years? There have definitely been changes, both big and small. There have been big changes in regard to the reduction of crime, because of the really productive programs that are being run in the area from the community. There’s also been an increase in community services that are catering to the needs and demands of the community. I’ve always been a big believer in bringing about positive change, particularly if it’s leading to meaningful and sustainable outcomes. Why do you think redevelopment, in Redfern in particular, is important? As a community I believe we are responsible for taking control of our own future and our own destiny. A part of that is identifying what viable solutions and outcomes can actually happen in our community and on our land, and maximising those solutions so that it benefits the future generations to come. What do you love about Redfern? I love the fact that, although it’s such a transient community, the community holds such a strong identity. What did you first know of AHC and their work within the community? When we moved to The Block back in 2001, I was actually living in an Aboriginal Housing Company property. So I knew they provided affordable housing for my people – amongst other things that they are involved in with the community in regard to assistance, referral services and funeral support. I knew they were just up the road and I could go and have a coffee with them whenever I wanted to and just have a yarn and feel comfortable! Why was it important to you to be involved in the redevelopment of The Block? Everything that the Pemulwuy Project represents is about moving forward for positive change within my community. The viable solutions we’ve been able to take out of this project will benefit the future generations to come over and over, so I’m excited about it. Why do you feel the Pemulwuy Project will be a positive thing for the Redfern Aboriginal and Torres Strait Islander community? The Pemulwuy Project will effectively lead the way, I truly believe, for Aboriginal people, not only here in Sydney and Redfern but all around the nation. This project will allow the community to lead the way in employment, education and housing; our financial model allows us to not have to pass a debt on to future generations. Why do you believe it was important for the AHC to self-fund the Pemulwuy Project? I believe it’s a really important point because by self-funding the project we’re taking control of our destiny and our future for future generations. By maximising on the land asset that we have, we were able to get enough funds to build precincts 1 and 2 debt-free, which allowed us to focus on our core business, which is providing affordable housing for Aboriginal and Torres Strait Islander people. What’s been the best part of being involved in the Pemulwuy Project and working for the AHC? As a young Aboriginal woman, it’s been such an honour for me to work alongside a visionary like Uncle Mick and the team of legends inside the AHC that have been there for the last two decades. The mentoring support and the guidance I’ve been able to pull out of these people is priceless and it’s helped me develop in my personal career as well as my personal life. What’s some of the best advice you’ve been given in your career? To keep true to myself, treat people how you want to be treated, and to be transparent and honest. A lot of the things I’ve been involved in are about giving back and creating opportunities that have meaningful outcomes. So always be upfront and honest, and don’t over promise and under deliver. I’ve always been very spiritual; growing up I was raised by a minister, so I’ve always had a strong spiritual connection to God and my faith. And I truly believe that God places people and opportunities in my life for a reason. That’s what inspires me. I still do not know! Still trying to work that one out! What advice would you give young people today who want to succeed in the workplace? To never give up, and that tomorrow is another day. As long as you keep pressing on there will always be another day with another opportunity. We’re living in a world and time where there is so much support out there, with so many great mentors and influential leaders within our own community who can really help us through that pathway, so just keep pressing on. What gave you the confidence to pursue your dreams and set up your own businesses? I think there was a combination of a lot of things – my upbringing and the influential role models who have been part of my journey and my pathway. I’ve always had great people in my corner speaking life into me and a great support system not only at home but also in my working life. This allowed me to really reflect on myself, who I was and what value I was able to bring to the community and people, and from there I thought I can do a lot more, so I set up my first business.